Do the stabbers come with the vaccines or do I need to buy them separately? A stabber is included with the vaccine. Can it be administered to fully grown hens? If so, what is the egg withholding time? It is recommended for healthy birds that are between 10 of age or 4 weeks before production. 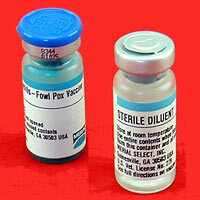 Should not be administered to laying hens as it is a live vaccine and we do not know the withdraw period. Is this for chicks or adults? 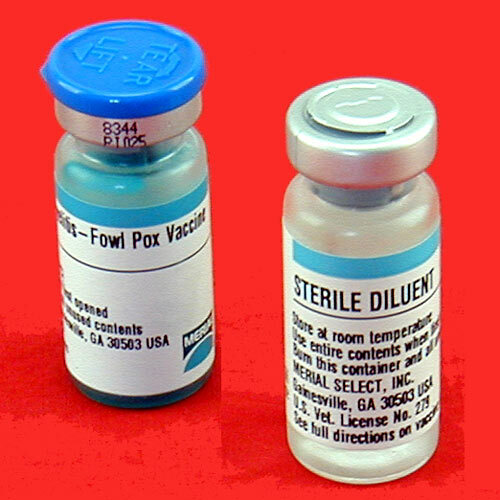 AE/fowl pox vaccine is recommending administering at 10 weeks of age and/or 4 weeks before egg production or slaughtering.